In this post I will tell you how to share Dropbox files to members of your Facebook group. With this facility you will be able to share your class notes with your study group, you can post any festival’s or ceremony’s video to your Facebook group with very fast speed from anywhere. Suppose you are organizing some programs then you can share its schedule to your group members. It will have same features like any other Facebook post that means anyone can like it, comment on it and if you edit this file then all the members of the group will get update information. 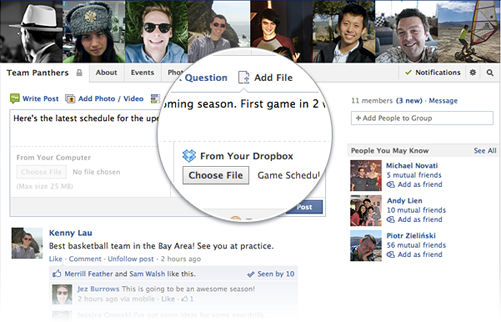 Go to your facebook group page in which you want to share your Dropbox file. Now go to the write something box where you write to post something. Above this box click on Add File. 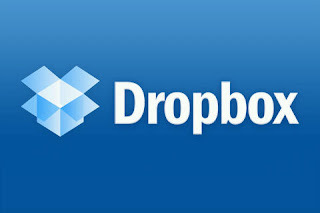 Now you will see a permission request from Dropbox to access your Facebook information. Now you will be said to login to your Dropbox account. Just log in. After login, now you can browse your Dropbox files. Select the file you want to share with the members of your Facebook group. You can also add a desired message while posting this file. You have done it. Now every member of your group can click on the link to download the file. Whenever a group member will click on this link they will be taken to Dropbox webpage from where they can download that file. Preview feature for certain types of files are also available. Members can also download it without having a Dropbox account. There is no need to worry about security because Dropbox and Facebook exchange only the information that is needed to add a file to your group.Facebook can’t receive other information and it can’t access your Dropbox account.now enloy! sharing your Dropbox files in your Facebook group.